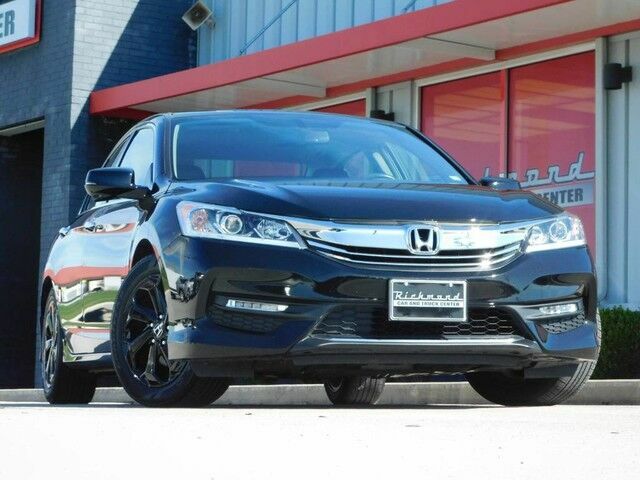 Richmond Car and Truck Center is proud to offer this immaculate previous 1 Owner Off Lease 2016 Honda Accord EX-L that looks great with a Crystal Black Pearl exterior and Black Leather. Some of the great features youll find in this Honda Accord EX-L is Front Fog Lamps, Remote Start, All Weather Mats, Memory Drivers Seat, Power Sunroof, Dual Climate Control, Touchscreen Display, Apple CarPlay, Android Play, Rear Backup Camera, Honda Lane Watch, Heated Front Seats, USB/AUX Connection, Bluetooth Connectivity and Push Button Start. Take comfort in knowing Carfax affirms only one previous owner, no incidents and it has the 100% Carfax Buyback Guarantee!. Due to our pricing our vehicles sell pretty quick, so call ahead to be sure of availability! This Honda Accord EX-L has been quality inspected, fully serviced and ready for delivery at Richmond Car and Truck Center of Richmond, Ky.
We know it is scary thinking about who you are buying a vehicle from right? I mean everyone says they do this and they do that, but we know the questions and stress is still there! We are passionate about making friends and making the entire process easy so we "urge" you to Google us!! Seriously, go out to google.com type in Richmond Car and Truck Center reviews and see what all our new friends are saying about us! We want you to know without a shadow of a doubt that your new friends at Richmond Car and Truck are passionate about making your next car buying experience fun and simple! We have tried our very best to give as much information as possible while being totally transparent about the vehicle and our crazy awesome team but know there are always more questions! We are not going to bombard you with pressure or crazy sales jargon. We are going to answer all your questions and you have all the control! We are passionate about making friends, making a difference and selling cars! NOT pressuring or badgering folks, so IT'S totally safe! Give us a call or email us!! We know there are lots of questions! Where did the vehicle come from? Who owned it previously? What was it used for? Was it maintained on a regular basis? Was it ever involved in an accident? At Richmond Car and Truck Center we believe in total transparency working hard to bring you as much information as we can. We provide every customer with the actual Carfax Vehicle History Report and Remaining Warranty Information. Every retail vehicle goes through a lengthy, thorough service and quality inspection. Realizing these are not new vehicles, we walk around and personally drive each vehicle, making sure to let you know of any defects if we know of them giving you the confidence you need while purchasing your next vehicle!